Atari Token - Arcade Gaming Pioneer All Set to Launch Own Cryptocurrency! Atari is one of the most iconic brands in the world of gaming. The company was the pioneer of gaming and is a name which many gamers still feel close to. The popular gaming company has now become the latest name to join the crypto-craze as Atari gears up to launch their own cryptocurrency. The company is expected to launch the ‘Atari Token’ soon. In the 1970s and 80s, Atari made some of the best video games and arcade machines. However, as arcade gaming became a thing of the past, Atari too has become a forgotten brand. 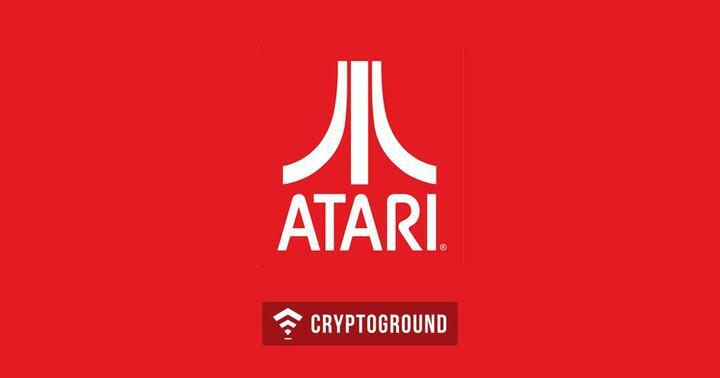 And like most other contemporary forgotten brands, Atari too has decided to become relevant again by launching their own cryptocurrency! A similar move was tried out by Kodak - masters of the analog photography losing out brand value in the digital world to gain some momentum. Ever since Atari made this announcement, their shares have jumped by 60%. This is quite a rise for a company which declared bankruptcy not so long ago. Atari is now working on a blockchain based digital entertainment platform. Atari token will also be used in some online casinos that accept cryptocurrencies. "Blockchain technology is poised to take a very important place in our environment and to transform, if not revolutionise, the current economic ecosystem, especially in the areas of the video game industry and online transactions,” said Atari CEO Frederic Chesnais, according to Bloomberg. "Our aim is to take strategic positions with a limited cash risk, in order to best create value with the assets and the Atari brand." Interestingly, Atari also intends to launch a second token - "To broaden the appeal of these new casinos, and once the Atari Token available, Atari has the project to launch Pong Token, a second token dedicated to crypto-casinos and usable on these gaming sites. The details of this launch of crypto-casinos will be announced soon," the statement reads. However, it won’t be much of a surprise if these plans don’t materialize and Atari doesn’t eventually end up releasing this Atari Token. The company had, back in the June of last year, promised that they are working on a new gaming console - their first in over two decades. However, this Atari Box project has since been postponed indefinitely. Atari is indeed going the Kodak way here. Kodak, too, like Atari, went bankrupt a while ago. With the Kodak Coin being indefinitely delayed - it appears that it was nothing more than a publicity stunt from Kodak to gain some attention from the markets. Could Atari too be going down a similar path of not actually launching the coin but just creating hype around the brand? Atari has been making multiple attempts to gain some momentum in the past too. Earlier this month, the company launched a crowdfunding campaign to bring Rollercoaster Tycoon to Nintendo Switch. While there is a chance that Atari is genuinely trying to create such a platform and a token (or two), their impression in the past hasn’t really been quite credible when it comes to matters like these!